New cannabis rules in California released Tuesday highlight again how fractious the state’s industry remains. The regulations also put the spotlight on the political influence wielded by a technology company that isn’t governed by the rules it has been lobbying to change. It’s important to note the regulations are far from finished. A first draft of the final rules is expected in coming months, and the state is required to finalize the rulemaking process by the end of the year. That likely means more political maneuvering by stakeholders. The new regulations – published on the Office of Administrative Law’s website – are “a 180-degree turn from where it was previously,” said Steven Domingo, the CEO and founder of WeDrop, a cannabis delivery company. Domingo, along with several other industry groups and individuals, sent a letter to the Bureau last month expressing support for the May 18 regulations. “In previous discussions (with regulators),” Domingo said, “it was said the intention of the regulation was to be prepackaged orders from the point of origin to the point of sale, but now, (Section) 5418 has completely removed all of those requirements. Domingo and others backed the May 18 rules, he said, because they gave more mainstream credibility to MJ delivery and supported what he called “the Amazon model” instead of the “ice cream truck” system. He predicted a multitude of problems if the new rules remain. Bureau spokesman Alex Traverso declined to comment on the rule change, but Domingo and other industry insiders said the technology company Eaze was the driving force. They also said Eaze is the biggest beneficiary of Tuesday’s updated delivery rules. “When it comes down to it, this is all about Eaze. It’s not really helping the industry in general,” said Zachary Pitts, president of the California Cannabis Delivery Alliance. The company wouldn’t have been able to function that way if the earlier regulations had remained in place. David Mack, Eaze’s vice president of public affairs, wrote in an email to Marijuana Business Daily that the updated rules have widespread industry backing, contrary to the picture painted by Domingo and Pitts. “Over 450 licensed drivers, dispensaries, brands and industry advocates weighed in to support dynamic delivery, which is already used successfully every day to deliver legal cannabis products across California,” Mack wrote. In addition, the letter suggested rules changes that parallel the ones released Tuesday. Mack shared with MJBizDaily letters from two licensed California cannabis businesses, as well as the Marijuana Policy Project and Teamsters Public Affairs Council, urging regulators to support dynamic delivery. The situation also raises questions, industry officials said, about how a tech company that doesn’t hold a state cannabis business permit could pull the political strings necessary to alter regulations when it’s technically not part of the space those rules are supposed to govern. Eaze has spent more than $174,000 so far on lobbying efforts in Sacramento during the 2017-2018 legislative session, according to state records. Industry sources said Eaze had been working since late May to get the regulations changed to favor its business model and even lobbied Gov. Jerry Brown’s office directly. “They were meeting with the governor’s office. They were meeting with the (Bureau of Cannabis Control),” said the California Cannabis Delivery Alliance’s Pitts. 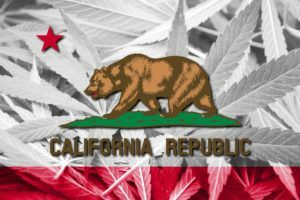 To several in the California cannabis business, Tuesday’s development was just as much about how the regulations were changed as it was about the actual alterations. “Eaze won,” a source wrote in an email to Marijuana Business Daily. “This took high-level, direct intervention,” another source said. So let me get this straight. 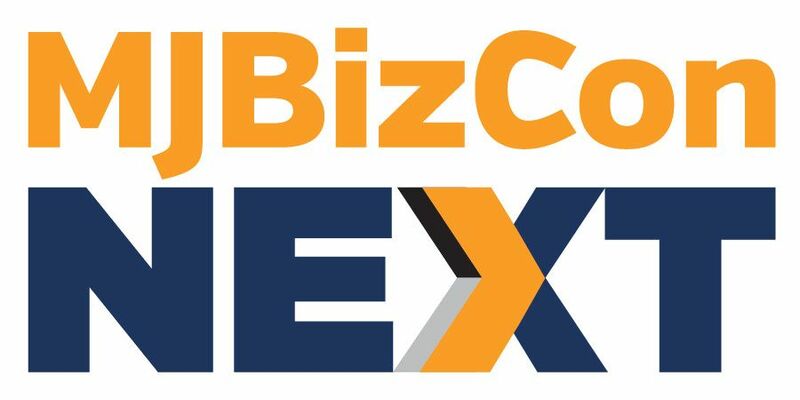 These delivery alliance guys try to kill Eaze and all the dispensaries and brands that use their service by lobbying the BCC and then…complain when Eaze lobbies the BCC? This industry needs to grow up. If we all stand around trying to regulate competitors out of business and pointing fingers the black market is going to eat us alive. So shortsighted. Also, what’s this nonsense about non-licensed people not being able to make their case to the BCC? What about patient advocates, police officials, veterans, cities, etc? Does this “industry official” really think you need a permit to have an say in how the industry works? So no big surprise here. Big money is coming in and directly influencing the law to screw the majority of us over while a select few get all the reward. I thought the state promised us that WOULD NOT happen under the new law, but I guess if they just flat out change the law then they aren’t breaking any promises. I am really, really regretting voting for this law. I was making $2,000 a month in 2016, now I’m making $200 a month. Legalization is only helping big money and the politicians they can buy, while the rest of us are losing everything and the consumer is paying the price. You are not understanding what the new law states. It needed to be changed to give more opportunities for new entrepreneurs and not have the previous license holders, stop new people from getting into the game. This will allow more delivery services to be more cost effective while being able to attend to more patients within same time limits. Normally I do agree with big companies taking over, but in this case, this company is trying to fight for all of our legal rights, for fair competition. Thank you for your help; good luck Eaze…?? For about 30 years and almost exclusively for the last 15 years. To home delivery service has been the norm! This regulation just legalizes what was once considered Illegal. Any fight against this is just Anti- groups fighting to overturn voter approved access! Anyone against delivery is just a moth crazy or anti-cannabis person! Delivery has been At least 10 years the standard. Hello well over half the state legal residences have no nearby access! 2-3 hour drive in traffic or a home delivery? Hmmm. I don’t think this is a black and white issue of delivery/no delivery. Under the initial law, if delivery is allowed (decided by local city), it has to come through a retailer that gets their products from a Distribution company. In this model, the retailer has to send their own drivers. But Eaze wants to be a part of the process, to interface the sales and do the delivery. Does it matter? If we kept Eaze out, the space will be filled by smaller, local service from retailers, with delivery trucks from dispensaries. But this has been slow-go, no-go, in so many places, and delivery law so limiting, it hasn’t had a chance to take hold. The advantage of Eaze is that their presence is so large, they can plug and play dispensaries/distributors into delivery and edge out the black market. Or can they? It’s just a theory! Black market delivers product that is un-taxed and can always be cheaper. And as long as Northern California municipalities are keeping licenses out of the hands of the majority, there will be a healthy black market supply to the whole state/world (bruh, go to Amsterdam, ask them where they get their s**t – they’ll ask you “Have you heard of Humboldt?”). This is tough competition for any legal delivery company. On one side, I personally think, hey as long as Eaze gets the product through the licensed system, who cares? B2B should not all need licensing. Say a company wants to outsource packaging and wants to send its product to a packaging plant – it would be ridiculous if every B2B service had to have a license. On the other hand I wonder if this opens up the door for a major work-around in retailing. Anyone who drop-ships know what I’m talking about. Now, under Eaze-advised changes, can anyone sell pot and pot-products as long as they get it from licensed sources? Who wouldn’t open a broker-website? And given that independent brokers are not allowed and must be employed by a Distro company, this seems unfair, allowing Eaze (and others!) to do it just because what – they’re on the internet?? Perhaps it’s better for Eaze to have to merge or be owned by a Distribution company, to keep this from being a ridiculous disaster for the regulatory market. Moot points, though, as Eaze won this battle. We’ll just have to see if it doesn’t open up the door for more website retailers without licenses… Maybe I should open one, because f**k it – if they can, I can, right?